Ask fellow campers about "60 North RV Park " and nearby attractions. This was a neat, clean park. The office staff were very helpful & came by after they parked us and made sure all was well. Great gesture for a 1 night stay. Concrete pads. We camped at 60 North RV Park in a Motorhome. An excellent campground with great staff. I will stay here again. I was here for work. We camped at 60 North RV Park in a Fifth Wheel. Very nice park and good value. We camped at 60 North RV Park in a Travel Trailer. Nice clean, my only complaint is the wifi. We camped at 60 North RV Park in a Travel Trailer. The park would be your best selection when you happen to be in the area. 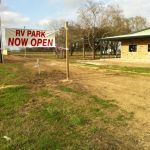 The area has a large influx of working folks staying at the campgrounds, and the staff try to keep a few open spots for the true RVers on the road. But again, mainly working folks who are in the area. I stayed 2 months and found it to be great. They keep the place clean and keep the long term RVs' parking and speed under control. Children are in the area and must be watched when driving. We camped at 60 North RV Park in a Travel Trailer. Bay City has some good antiques & Bird watching close by. Good selection of eateries as well as Wally World. Nice park overall. Conrete pads, grass yards, pull-throughs and back-ins. Lighted at night, clean showers and restrooms, and laundry with 4 washers and 4 dyers. However, if you need WiFi, bring your own, because it never works. No pool or play area and kind of expensive if you stay monthly cause its $450 AND charge you for electricity. For the WiFi not to work and no amenities it's pricey because the electric bill is HIGH! We camped at 60 North RV Park in a Fifth Wheel. Go visit Matagorda beach its only 25 miles away. Waves are big, fish off the pier, and there's a place to rent kayaks! The park is clean and the staff is very friendly. We were here through Thanksgiving, and there was a communal potluck dinner, which was nice. Big, flat, level concrete pads with 50, 30, 20 amp, sewer, cable, and dual water hookups on a lighted pedestal. Wide open, with not much space between pads. No privacy, or shade. No picnic table, fire pit, or grill. The park is very clean, almost to the point of feeling sterile. The bathrooms are pleasant, tiled and well maintained with access codes required for entry. Water pressure in the shower is adequate. The road noise is excessive and there are frequent trains that run through the night. We came because the reviews stated there was good WiFi, but it is spotty at best. Enough for an email, but not if there is a picture attached. It isn't even fast enough, or consistent enough to support a speed test through Ookla or Speakeasy. They offer Good Sam as well as Escapees discounts, so our weekly rate averaged out to $15/night. We camped at 60 North RV Park in a Motorhome. Not a lot of on-site amenities, but the downtown area is nearby with restaurants and shopping. Excellent service from the manager and staff! Quick to respond to email, saved a site for us without payment. Lots of space, nice paved roads, and concrete sites. Will fit any size RV without problem. Lots of workers but all sites well kept and looking good. Washrooms clean and offer privacy with each unit having shower, sink, and toilet. We camped at 60 North RV Park in a Travel Trailer. Staying here for two nights. Very clean park, level sites, staff very friendly and helpful and led me to the site. The Internet hookup is running faster then what I have at home so I am very happy with everything. Would definitely stay here any time I am in the area. We camped at 60 North RV Park in a Motorhome. This place is brand new and is how an RV park should be built. Huge level pull-through sites, sparkling private bathroom, laundry facility, and doggie waste bag locations. I don't know if there are things to do around here as we were passing through and this is not a resort style park, no club house or pool, but it is a great place to pull in after a long haul, have a great shower and get caught up on laundry. The owners are very sweet as well. We camped at 60 North RV Park in a Fifth Wheel. Very clean park. Cement pads. Lots of room between neighbors. A bit pricey, but rates vary depending on amount of time you plan on staying. We camped at 60 North RV Park in a Motorhome. This is a very nice park with concrete roads and pads, and wide grassy area next to the long pull through sites. The park's Wi-Fi was excellent and Verizon cell received a very strong signal. We stayed two days on the Passport America price of $13.50. Bay City has a nice Walmart and several restaurants. We would definitely stay here again and probably for a week or more the next time. We camped at 60 North RV Park in a Motorhome. Very nice park with 93 concrete full hook-up sites, they have both pull through and back-ins. The park is able to accommodate any size rig, it is easy to maneuver in and out of the park. They have very clean restrooms and showers, laundry facility, excellent Wi-Fi and cable. This park is pet friendly and the office staff staff is so friendly and helpful. We would stay here again. We camped at 60 North RV Park in a Fifth Wheel. 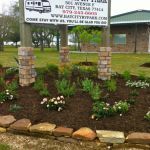 New RV park with very level pads, clean bathrooms and laundry room. Friendly owners and park hosts. The nightly rate above is listed on Passport Americas website (rate before the discount), you will need to verify it when calling. We are staying on a monthly rate. We camped at 60 North RV Park in a Fifth Wheel. Bay City has some good antiques & Bird watching close by. Good selection of eateries as well as Wally World. Short drive to the beach. 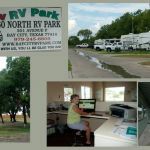 Are you affiliated with 60 North RV Park ?